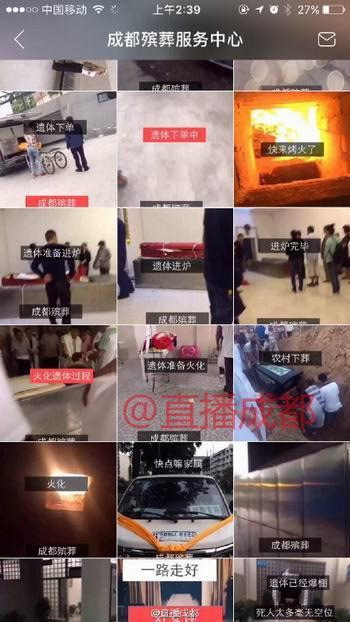 2 Cremation live stream: a man in Chengdu, in Sichuan, attracted the wrath of many netizens after he live-streamed the cremations of several corpses. Cremation live stream: a man in Chengdu, in Sichuan, attracted the wrath of many netizens after he live-streamed the cremations of several corpses. 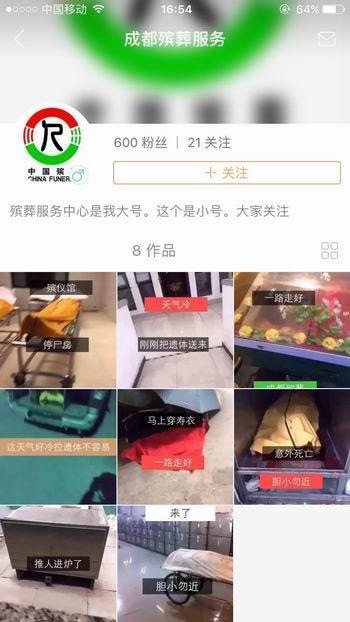 A man in Chengdu, Sichuan province, has posted several videos of cremation of corpses on a live-streaming platform called KuaiShouZhiBo. Under the account of the man, allegedly a mortician, viewers can watch live-streaming videos of the bodies and access to personal information of the deceased. According to People.cn, the man made inappropriate jokes about cremation, calling it a process for “The dead to quickly warm themselves by the fire”. A second account has posted 8 more videos showing the cremation ceremony. Many corpses are clearly visible in the video. Both accounts were deleted. According to Jiang Pen, the director of Chengdu Mortuary Institution, there’s no way to confirm whether the incident took place in their mortuary house. The incident quickly went viral on Chinese social media, igniting public wrath. One netizen wrote the cremation is a sacred and private ceremony, such disrespect to the deceased should not be tolerated. Feng Jun, a Chengdu-based lawyer stated: “By filming and posting the cremation of the dead, this man has already violated the rights of reputation of the deceased. The relatives of the deceased can sue him if they want”.